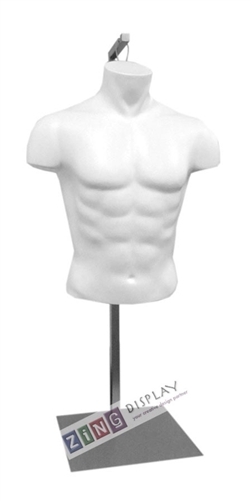 Because this torso is made of unbreakable plastic, it reduces damage and is easy to dress. 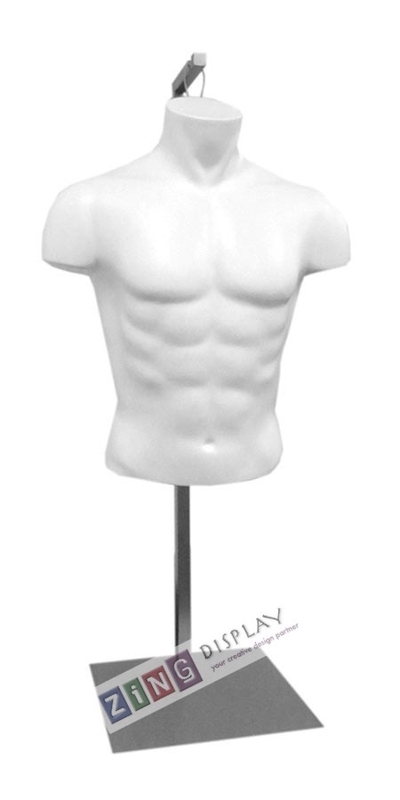 He is made white plastic and comes with a satin nickel hanging base. Will beautifully display shirts and scarves. 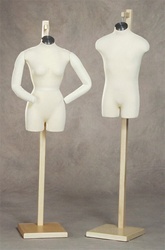 Pole adjusts 43 - 74"